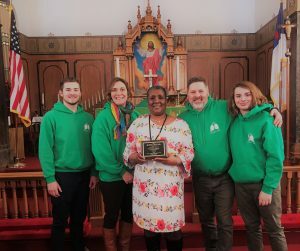 The Green Angels were honored today as the recipients of WARE’s (Wayne Action for Racial Equality) 2018 Dr. Martin Luther King Jr. – Institutional Service Award. “For your dedication to helping others, embracing diversity and fighting to end social injustice”. Thank you President Earl Greene and MLK Planning Committee for recognizing the efforts of all associated with The Green Angels.